Published on Thursday, May 11, 2017. This article appears in the April/May 2017 issue of American Craft Magazine. 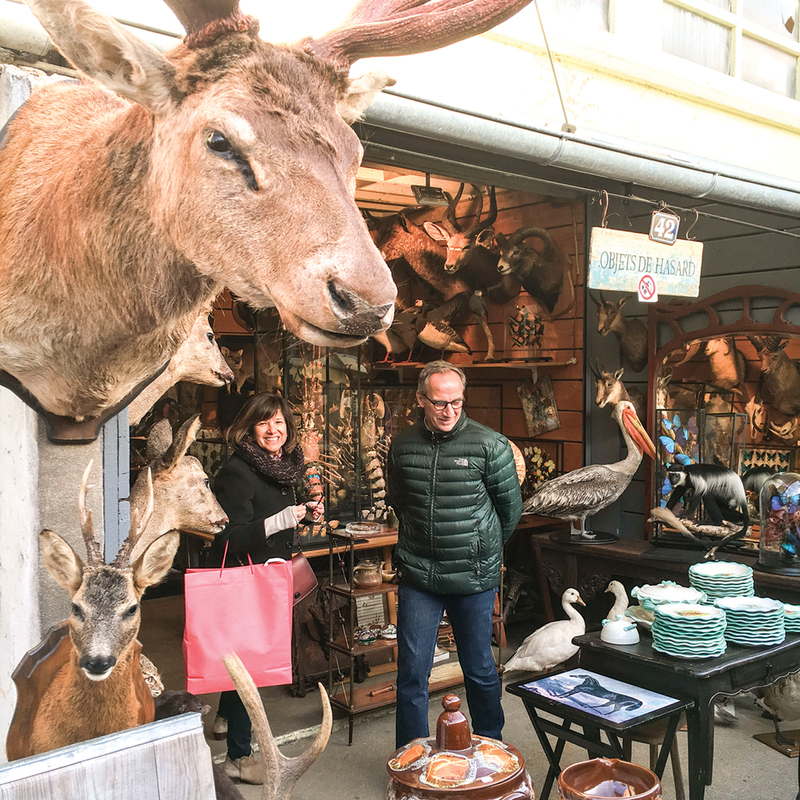 When Mithra Ballesteros goes to estate sales, she sees beyond the objects waiting to be picked over. What sorts of things speak to her? Those items and more can be found at Finder Not Keeper, the online shop Ballesteros opened in 2014. The fervent forager sells some of her vintage treasures individually, but the vast majority play roles in imaginative collections. Browsing the site is like thumbing through an interior stylist’s lookbook – which isn’t surprising, considering that Ballesteros worked in the fashion industry before raising her four sons, now ages 18 to 26. “My gift is for merchandising and accessorizing. I could accessorize a tent and make it look great,” she says. Another talent is telling a good story. In her product descriptions, Ballesteros often includes links to her upbeat blog, the Bubble Joy, where she shares compelling backstories about her findings, sometimes weaving in anecdotes from her own family. For instance, the collection No Smoking! 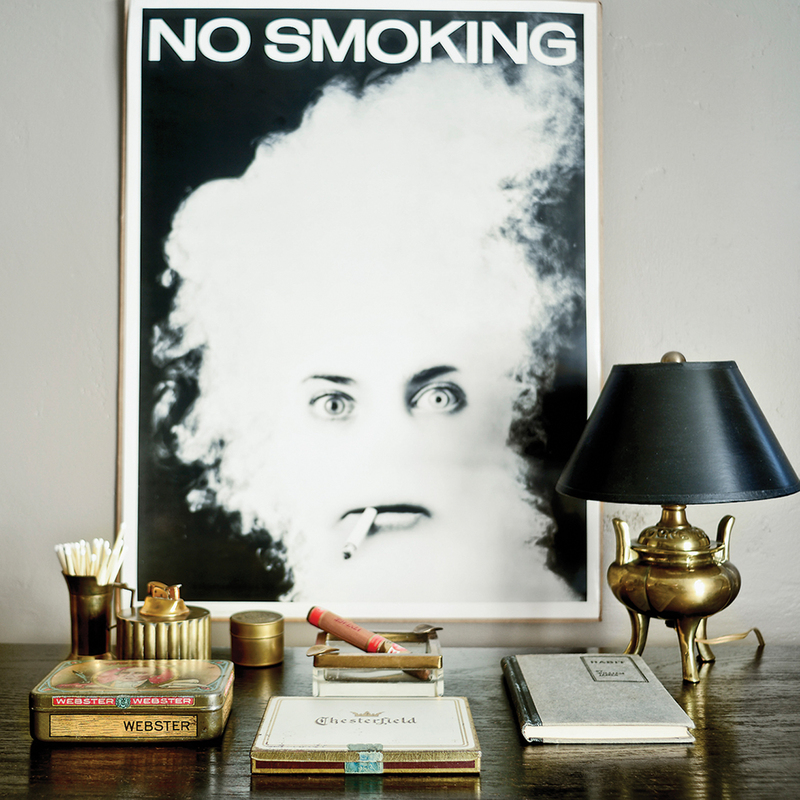 includes a 1970s poster of a woman enveloped in a cloud of smoke, a Chesterfield cigarette tin, a brass lighter, and William James’ Habit, an 1890 book about habitual behavior. 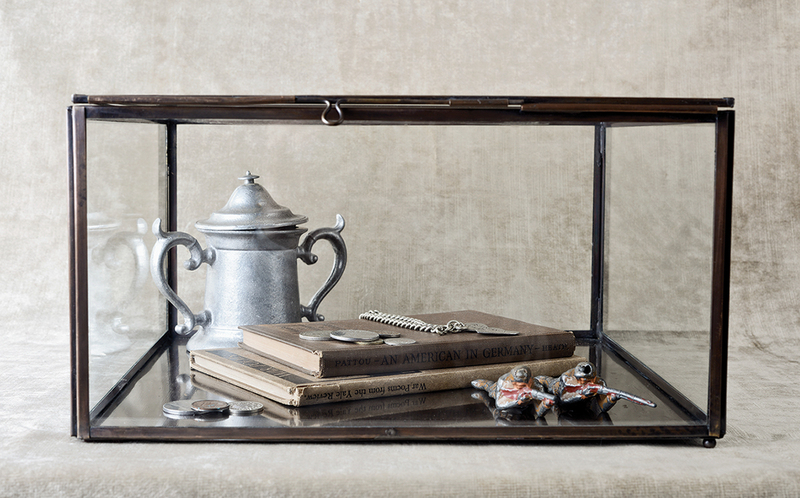 In the description, Ballesteros links to a blog entry that shares her father’s history with smoking, and how she had spotted the poster “at the estate sale of a deceased hippie who was also a hoarder.” The vignette, priced at $475, sold to a woman in Switzerland. “I have no idea if she’s using it the way I photographed it, but I’m glad it has a home,” says Ballesteros. Her basement, which serves as her workshop and photo studio, is filled with hundreds of finds that will eventually be grouped, photographed, and sold under categories such as “mantel,” “desktop & books,” and “child’s play.” Ballesteros also accepts commissions, creating displays around other people’s mementos. Lost, and then found again. 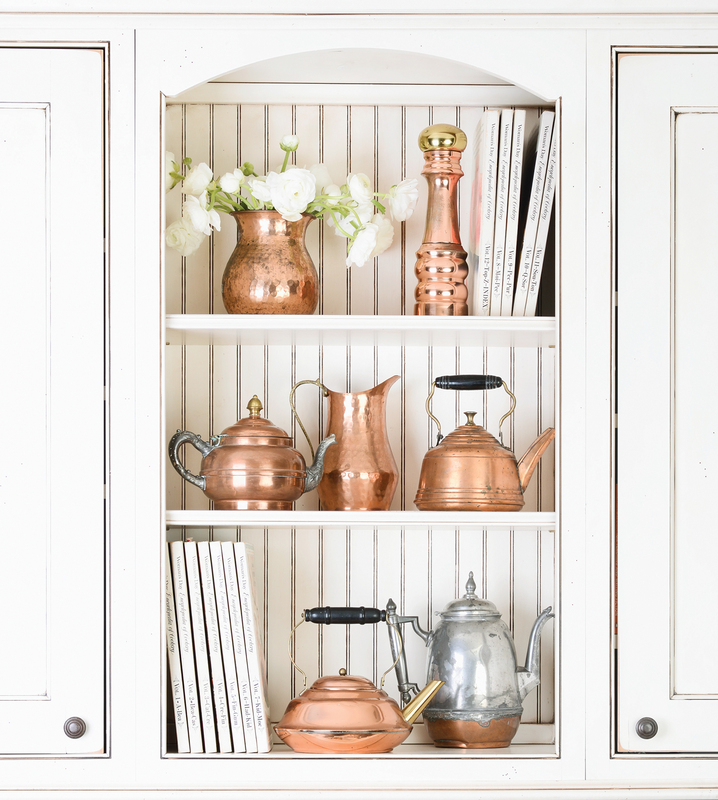 Midcentury kitchens inspired Copper & Cookbooks. Ballesteros notes that it was a “strange culinary time” when both hot dog recipes and colonial décor were the rage. The starting point of the No Smoking! vignette was not the arresting poster, but the 1890 book Habit, which shop owner Mithra Ballesteros found at a church sale. Ballesteros created the WWII Tribute Box for a client who wanted to highlight her father’s World War II dog tags. 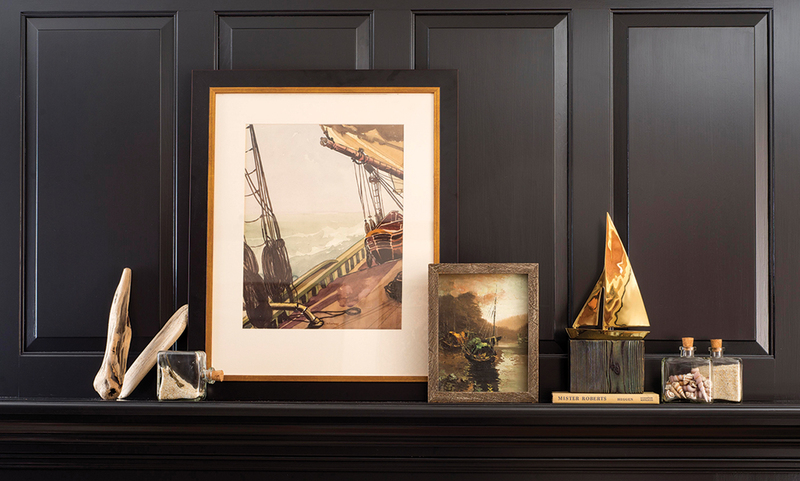 The sea-themed Moody Mariner’s Mantel Collection includes two original paintings salvaged from junk shops in Michigan and France.